Astute investors are finding that apartments are now the ideal way of entering into the world of investment property, there was a time when the Australian dream was to own a house with its own block of land. A place where the kids play in the garden while mum hangs out the washing and dad mows the lawn. This scenario may still exist, but there’s been a marked shift away from that dream and both developers and buyers are now favouring apartment living, especially in suburbs closer to the inner city areas. All the major cities in Australia are clearly demonstrating this trend: in Sydney, around half of all housing properties sold are apartments, in Melbourne it’s about 30% and Brisbane around 25% and increasing (according to RP Data research). There are many factors that are dictating why more of us are choosing to live in an apartment, rather than a house. One reason is price – the cost of land and housing in inner city areas has risen sharply and apartments are far cheaper to build and more affordable for the majority of buyers. Another explanation is that there has been a considerable decrease in the number of people per dwelling. While not up to date, even the 2006 census figures showed that the number of people per home was 2.46 people, compared to 3.24 40 years ago. Today, that disparity would have grown even further as less of us are having children and more households consist of single parent families, couples without children or those who live alone. Other trends such as increased cost and journey times in cities, greater numbers of women in the workforce and longer working hours are all contributing factors that drive more people towards apartment living. So, with less spare time, smaller families and a desire to avoid long travelling delays, it’s not surprising that apartment living has become increasing desirable. Reflecting these changes, a recent report by Colliers International found that apartment building approvals had risen from 25% in 2009 to 43% in 2013. In particular, Sydney and Melbourne demonstrated this movement where apartment approvals exceeded those of houses. While there are less owner/occupiers in the apartment market, investors are attracted by strong demand for investment property in the rental market, especially in CBD and inner city suburbs close to the centre. Elsewhere, RP Data research found a long-term swing to apartments holding their value better than houses. 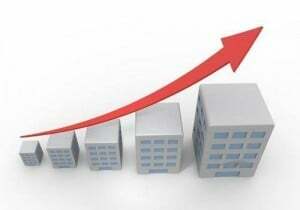 Investors and landlords are also aware that rents have increased to a compound annual rate of 8.45%, with apartments demonstrating much higher yields than houses. Another significant change is an attitudinal one – Australians appear to have become more fiscally conservative during the last 5 years (post GFC) and show a greater desire to live within their means. Again, the comparative affordability of apartments compared to houses has helped to increase the demand for them among property purchasers. Everything points to these trends to continue as local governments show a desire to make inner city areas more attractive for dwellers. Improved transport, cycle lanes and more food and convenience stores all make city living increasingly desirable. Developers are meeting the expectation of people who choose apartment living. Increasingly, fit-outs are designed more imaginatively and features such as gyms, swimming pools and even bars and rooftop cinemas are becoming more common. The next step (one not yet achieved), is when more owner/occupiers decide to invest in apartments, rather than the majority being bought as an investment property by investors, only time will tell the result of the apartment vs. house battle. Now could be the time to invest in apartments.